The steel industry has dug in its heels and will remain the last line of defense between the American consumer and the threat of free release of radioactive scrap metals into the materials stream. This strong industry position has been taken in response to the Department of Energy’s (DOE) plan to demolish more than 100 nuclear facilities and release the scrap into the steel recycling stream. During the cold War these facilities were put in place to build America’s nuclear arsenal. But, with the end of the cold war, came the end of the need for the vast numbers of these facilities, which are now in the process of being shut down and demolished. of nuclear weapons, including the bomb dropped on Hiroshima. Over the next several years, 126,000 tons of scrap will be yielded from the demolition of this facility. It is the plan of the federal government to recycle the scrap from this and all of the decommissioned facilities, which has stirred great concern within the steel industry. This steel industry does not want scrap from any of these DOE or nuclear power plant sites that has been exposed to radiation at any time. 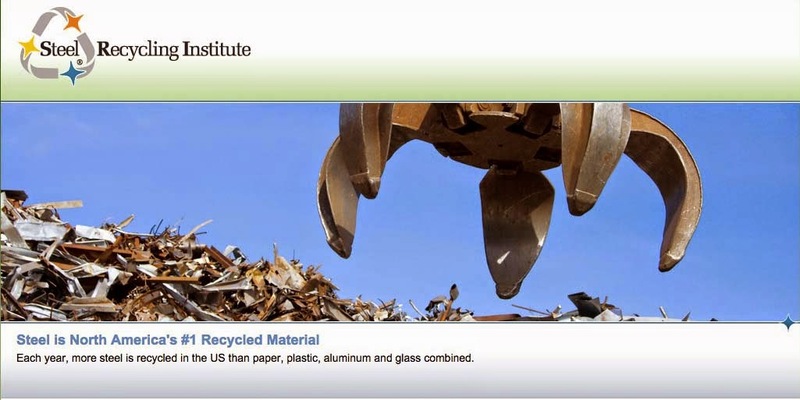 For nearly a century, the steel industry has been recycling old steel into new steel. During this time, the industry has built a quality recycling infrastructure which is built around delivering quality contaminant-free scrap to the steel mills. It is now standard practice for scrap to the steel mills. It is now standard practice for scrap to be scanned for radioactivity of any kind before it is processed and remelted into new steel. Introducing radioactively contaminated scrap at low levels of radioactivity, runs the risk of contaminating and building up in the machinery used to make new steel products. In comments presented before the Nuclear Regulatory Commission, AISI called for the agency: “to fully regulate and isolate radioactive wastes and materials and anything they contaminate, no matter what the level. The radioactive legacy of atomic weapons and energy production should be isolated from the public and the environment,” AISI declared. The steel industry is not alone in its stance. AISI, joined by the Steel Manufacturers Association and the Specialty Steel Industry of North America, sent letters in the past week to Congressmen John Dingell (D-OH) and Ron Klink (D-PA) thanking them for their support on the free-release issue and asking them “to take additional actions to help find an appropriate resolution” to this concern. Consumers have also voiced concerns about radioactive steel. Focus groups conducted by Wirthling Worldwide, a nationally recognized research firm, indicate that consumers feel there’s not enough known about the long-term effect of radioactive, especially low-grade radioactivity. Decisions made now could create unintended consequences years or generations down the road that cannot be reversed.